Are you facebook addict? 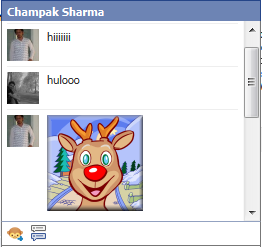 If yes then this application is for you.As many of time we bored while doing chatting because of Html chat emotions we have just limited emotions.We had to learn those type of symbols which create emotion in chat.Now you can add lots of emotion in your chatting with Emoinstaller. 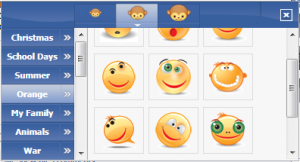 Emoinstaller is a application which provide you lots of emotion for your facebook chatting .You can choose hundreds of emotions and add them to your chat.This emoinstaller automatically integrate on your facebook. You have to just follow this steps. Download Emoinstaller from here .It has multi browser support but must close your browser while installing this application. Once you installed you can open facebook from your browser. The emotion icon can found on the left bottom of your page Click on the icon to get variety of emotion. But to display emotions,Emoinstaller must be installed on both sides. If you dont like this emoinstaller you can remove it from your Firefox Addon.